Balanced on the transitional zone between the Texas Hill Country and South Texas, this vast ranch for sale in Medina County, Texas has ±1,485 acres of incredible high-fenced topography in the heart of prime Texas deer hunting territory. The possibilities are endless here for recreation, hunting, and ranching in a private and secluded, yet convenient, location. This impressive piece of land lies along Hondo Creek and FM 462, about 15 minutes north of Hondo and just an hour from San Antonio. The area is scenic and wild, and the ranch is just eight miles down the road from the Hill Country State Natural Area. The topography of the ranch is dramatic with elevation changes of over 150 feet, that range from rolling hills to steep limestone bluffs. The multiple peaks of the ranch offer compelling panoramic views for miles across the surrounding countryside. There is over two miles of frontage on wet weather Hondo Creek. The Hondo Creek Ranch has abundant native wildlife including Whitetail and Axis deer. The entirety of the ranch is high fenced and is outfitted with several blinds and feeders that will convey with the sale. The majority of the ranch is covered by trees and high protein brush, but an array of senderos have been cut across the land with hunting in mind. 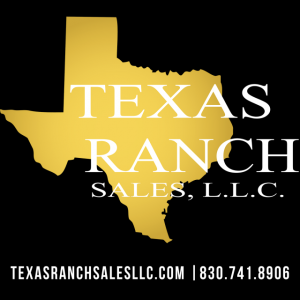 The two essential elements of a destination hunting ranch are in place with ±1,485 high fenced acres and close proximity to San Antonio by car, or to air transportation via San Antonio or Hondo Municipal airport, just 15 minutes away. The ranch has two operating water wells, one solar, and one electric, and has a SAWS water conservation easement. There is a two bedroom cabin on the property with a Judge Roy Bean inspired design. The opportunity to own this expansive, scenic, and wild ranch, so close to urban amenities, is a special occasion. The simple joy of setting off across this extraordinary piece of land for recreation, exploration, and adventure is a special opportunity in and of itself, but there is also tremendous potential here for a multitude of revenue-producing concepts.